You will receive: 1 Denon DCD-50SP Silver CD Player. 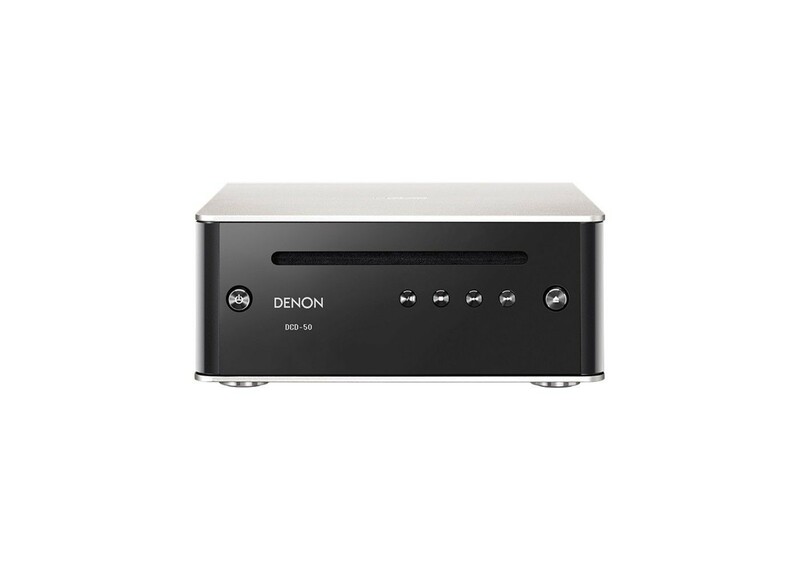 Introducing the new Denon Design Series. Real Hi-Fi for today’s lifestyles. The ideal companion to our PMA-50 full digital stereo amplifier, the DCD-50 features a high quality disc drive that plays music CDs as well as data discs with MP3 and WMA tracks. Styled identically to the PMA-50, the DCD-50 features an elegant compact chassis that can be operated when placed horizontally or vertically. The Clear View OLED display features automatic display orientation that detects if the DCD-50 is placed vertically or horizontally and adjusts the display accordingly. The convenient slot loading mechanism dispenses with the usual disc tray, and allows for vertical and horizontal placement. For optimum audio quality with the PMA-50, the DCD-50 is equipped with a coaxial digital audio output - for an easy setup the required digital audio coax cable is included. For connection to other audio components, the DCD-50 incorporates a high resolution 32-bit/192-kHz D/A conversion system and stereo analog outputs. The OLED display shows the CD's total tracks and total time, as well as the track number and track time, and the song title, artist name and album name (depending on the disc), along with icons for random mode, repeat 1 and repeat all modes, and a folder icon for data discs. The display automatically rotates to match the installation orientation. The dimmer function features 3 levels of display brightness, adjustable via the remote control. When paired with the PMA-50, you can adjust the display brightness of both units at the same time.